A dozen parents already removed from the U.S. remain separated from their young children. WASHINGTON — The Trump administration has reunited 57 migrant children under age 5 with their parents as of Thursday morning, one day after the court-ordered deadline, but 12 parents who have been deported remain separated from their young children. Asked if deported parents would see their kids again, officials from the Department of Homeland Security and U.S. Health and Human Services told reporters they are under "no obligation to bring people who have no lawful status in this country back into this country for reunification." The administration's reluctance could be a point of contention on Friday when a federal judge overseeing the reunification of nearly 3,000 migrant families meets with government and ACLU attorneys. Judge Dana Sabraw of the Southern District of California told government attorneys last Friday and again on Monday that deported parents are part of the class represented in the lawsuit and must be reunited with their children by the court's deadline. The federal government has until July 26 to reunite the remaining children, aged 5-17, and many more of their parents are expected to have been deported. Parents on the verge of deportation are given the option of leaving the country with their children or leaving without them. 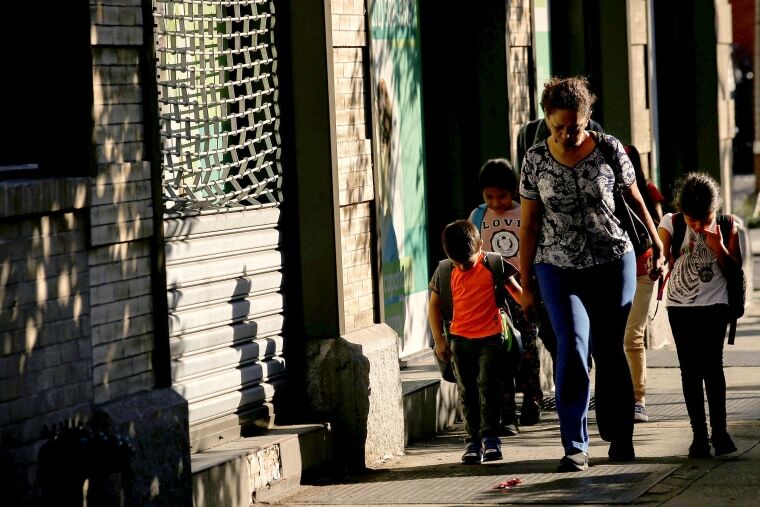 Many chose to leave without their children to give them a chance at asylum in the United States. "If those parents want their children to go return with them, which again they had that opportunity once, we are working with consular officials and the foreign governments to provide information to help facilitate that, but we don't have the legal authority to bring them back into the country for the reunification purposes," said Matthew Albence of HHS. Other children under 5 have not been reunited because the adults claiming to be their parents either did not pass a DNA test or have criminal records. Of 11 parents found to have a serious criminal history, some had charges or convictions of child cruelty, kidnapping and murder. But others had lesser charges, such as driving under the influence. The officials declined multiple requests by reporters on a conference call and in writing for more details on the criminal background preventing parents from being reunified with their children. Typically, a DUI would not be grounds for separating a U.S. citizen from his or her child, but the officials told reporters this immigrant was sent to jail and, as a result, has been deemed ineligible for reunification. CORRECTION (July 13, 2018, 2:15 p.m.): An earlier version of this article misidentified the HHS official quoted. It was Matthew Albence, not Chris Meekins.